The wine cellar arose as the result of the connection of two former cisterns with the creation of an access stairway. 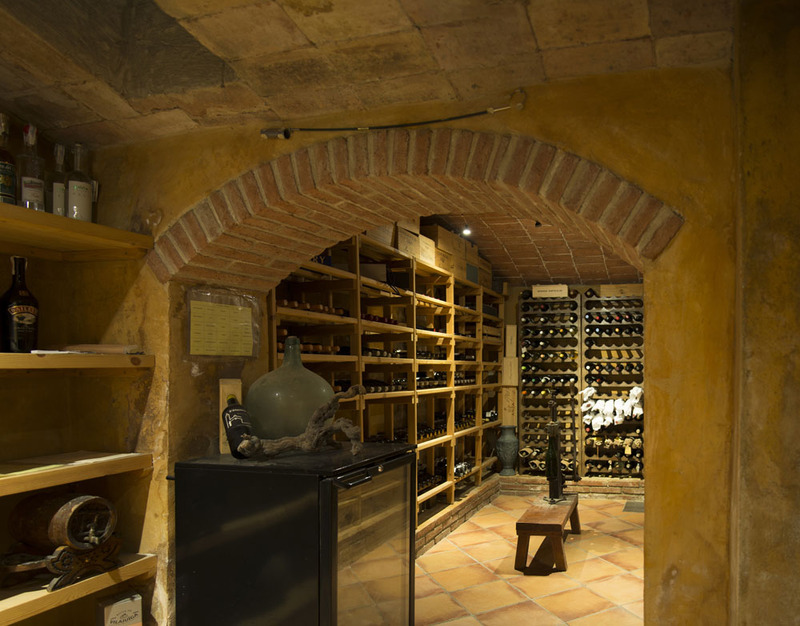 The wine cellar has ideal conditions of humidity and temperature for storing and serving wines, spirits and tobacco. Don’t forget to pay it a visit! Aperitif list: different local mineral waters, still and sparkling. Still or sparkling, sweet or dry wines served by the glass. Local beers. Apéritifs with or without alcohol. The wine list: extensive and varied with a generous representation of regional wines. We serve 50-cl bottles, half bottles and by the glass. Wines to take away. Spirit list: to drink round the table after a good meal, slowly and in good company. A variety of liquors to try.